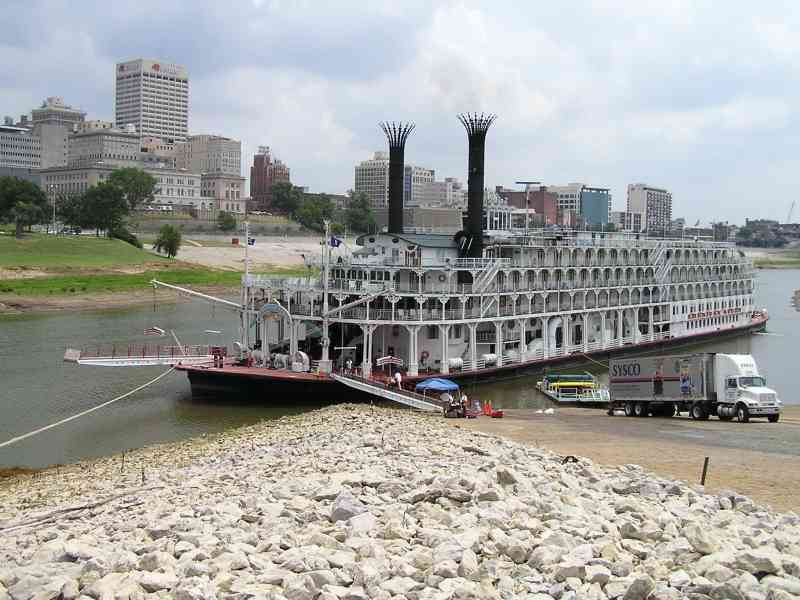 Last week wasn't the first time the American Queen has visited Memphis. 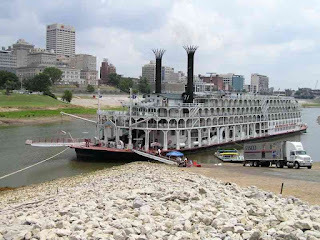 The riverboat had been a frequent visitor to this city until the cruise business took a downturn. 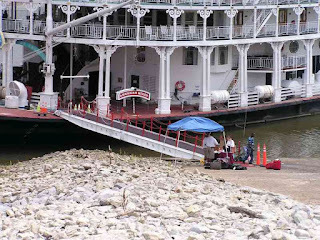 Here are some pictures from July 2, 2005. 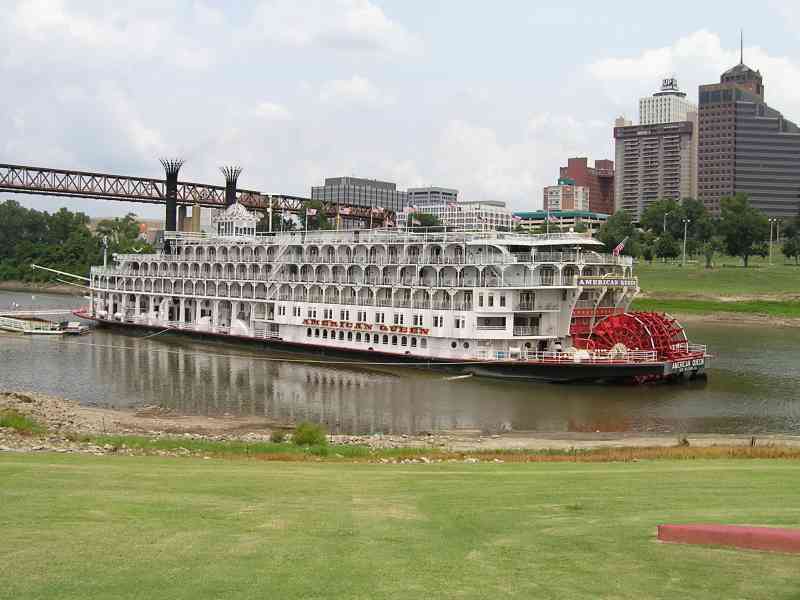 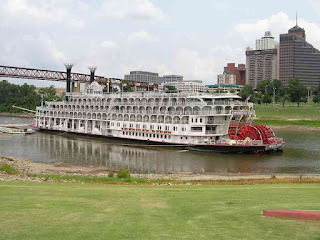 The majestic cruiser is seen parked at the big landing at Mud Island River Park. 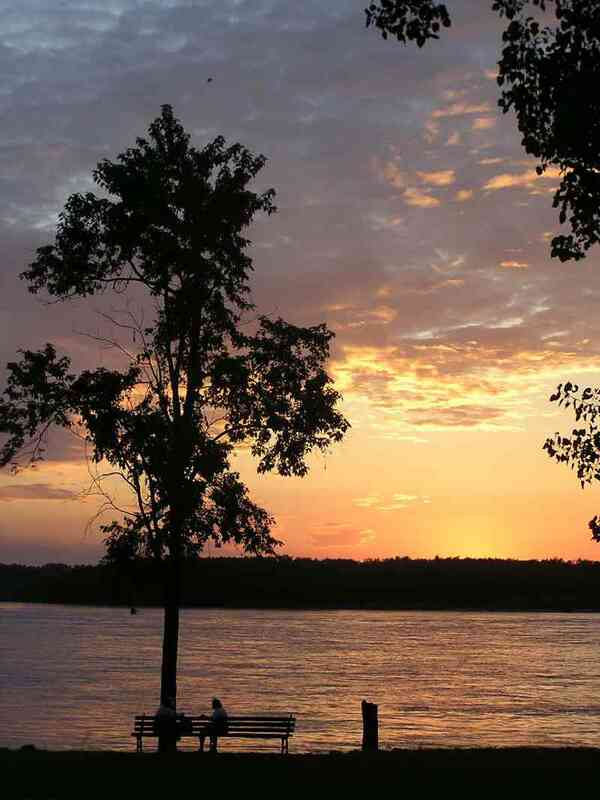 For good measure, I've also posted a picture of a Mississippi sunset that summer. 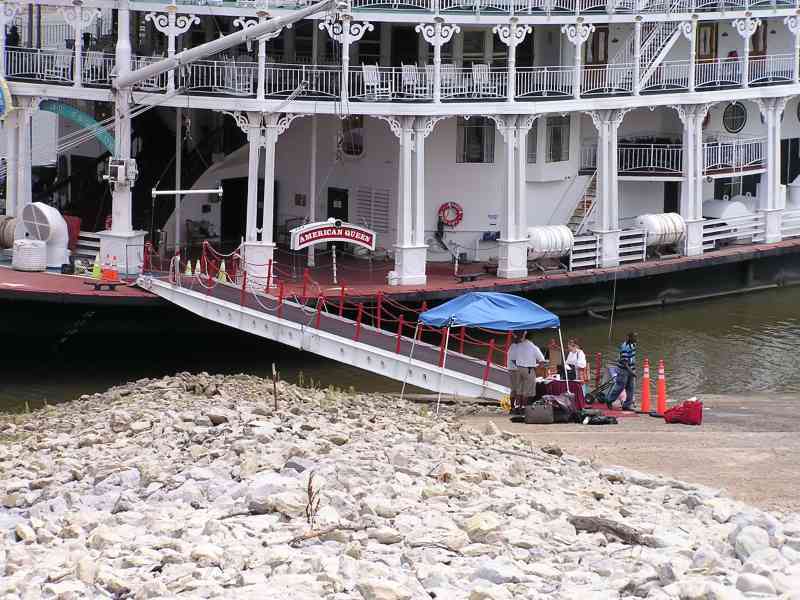 A couple can be seen sitting on a park bench along the river on the west side of Mud Island.